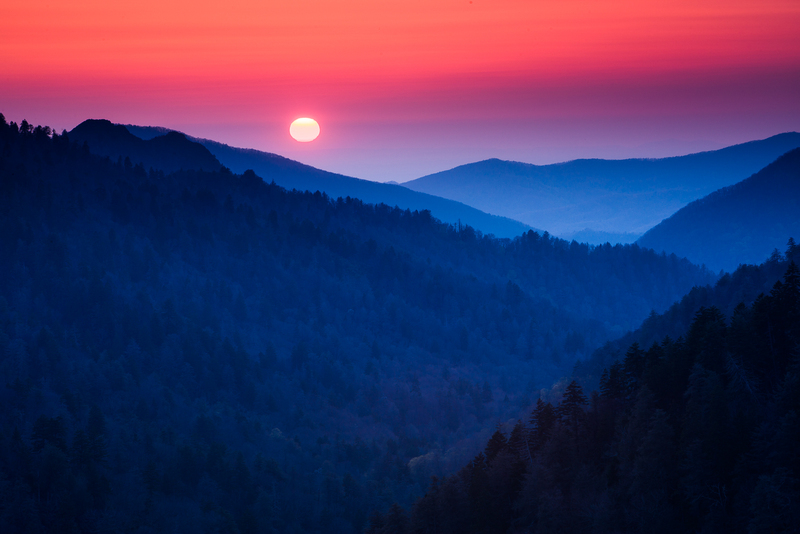 The sunsets over Smoky Mountains. One of the highest ranges in Eastern America that can offer one of the most beautiful sunsets. Photo © copyright by Lance B. Carter.